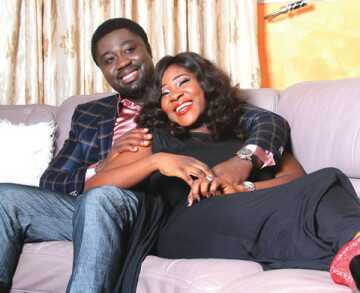 Interview: Mercy Johnson And Husband Share Their Marriage Secrets To Help Ebira Peoples Marriage Particularly. 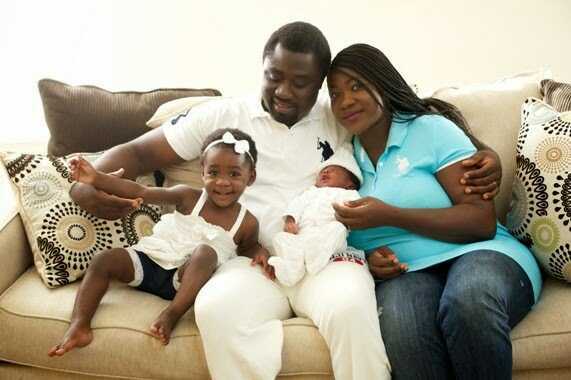 Mercy Johnson Okojie is one of Nigeria’s most talented actresses from Okene, Kogi State. The actress got married to Prince Odianosen Okojie at Christ Embassy Church, Oregun, Ikeja Lagos on Saturday, August 27, 2011 and their marriage is blessed with two children. In this interview with Punch, Mercy and her husband share their amazing love story, how they met, how they keep the spark in their marriage and a host of other things. Mercy and her husband met for the first time in 2008 on a flight from France. They had both flown Business class and he asked for her number but she declined. He later managed to get hold of her number and that’s how it started. According to Odi, it was love at first sight. On how they keep the spark in their marriage with the birth of their children: Mercy said: “I buy funny cards, which I slip into his pockets, and then he would jokingly remind me about the fact that I have two children. I also dress skimpily in bum shorts and parade in the room whenever he is around.” Odi said: “We crack a lot of jokes and play together because she is my best friend. I confide in her always and she is also supportive of me as well. We go to quiet places together and also attend family engagements. With the birth of our kids, I haven’t loved her any less; in fact I call her my daughter.” Asked what he does not like about his wife, he replied: “Absolutely nothing. She does everything I like and that has kept us strong.” Mercy on the hand said her husband is too truthful and that upsets sometimes. On how they handle disagreement: Odi replied: “We hardly disagree but since we wedded, I don’t think we have had any reason to invite a third party. We play a lot and handle issues maturely. “He apologizes in funny ways. Since I had the baby, whenever he offends me, he will play a particular CD and then teases me. He simply does things that make me laugh,” Mercy said. Mercy Johnson & Hubby Share Their Marriage Secrets Mercy and her husband The couple said they can never cheat on each other. According to Mercy, marriage has taught her patience which has changed everything about her. “Ever since I had my daughter, I learned to appreciate other children and humanity the more. My husband and children are top on my priority list at the moment and acting is secondary. Mercy returned to Nigeria few weeks back after being away for several months in the United States for the birth of her second child. Next article5 Simple Ways Anyone Can Make Money Online. Shes my role model a woman i like so much just so shoking that shes an Ebira Woman nice though………………………. Nice One i am just happy for her good to know about her.. Thanks for dropping your opinion on this article its been a long time sha.